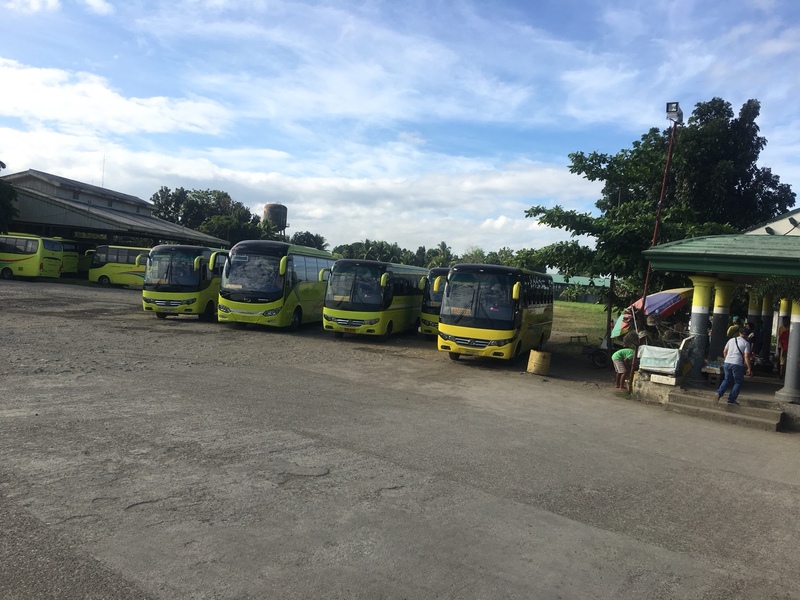 These are the non aircon regular fare buses that operate between Bacolod City and Dumaguete City (7 hours one way). They are 2x3 seaters. 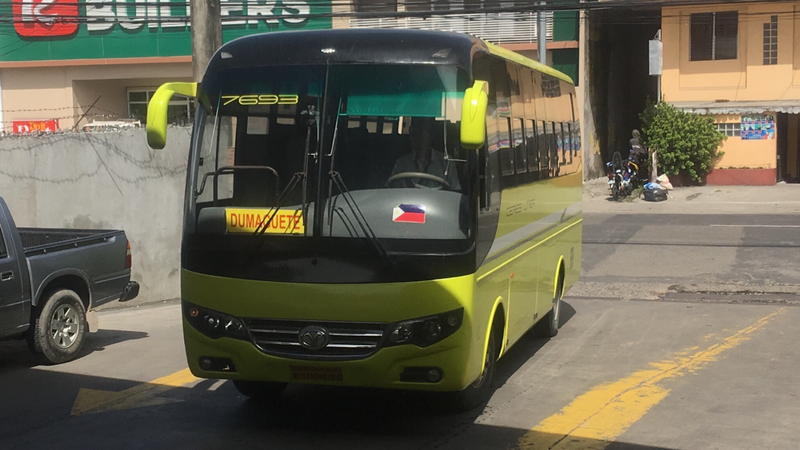 These small regular non aircon buses usually run from Bacolod City and Dumaguete City up to 3 hours outside of these cities! They are 2x3 seaters. 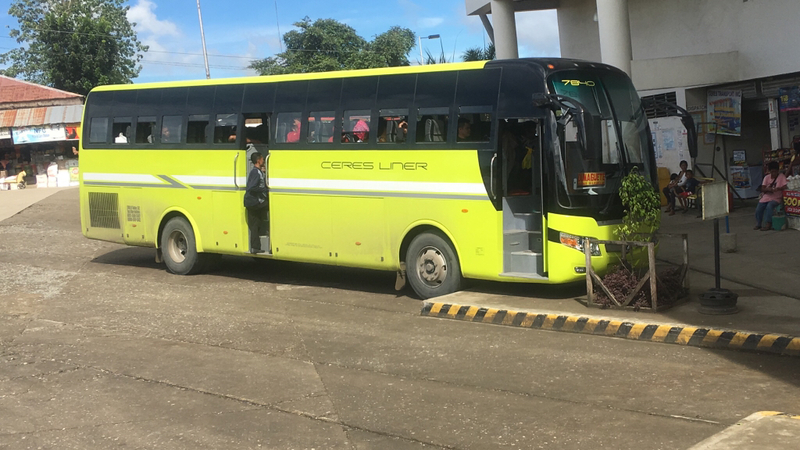 This bus is seen at Dumaguete Ceres Terminal about to load passengers bound for Bais City. The route is about 47kms. 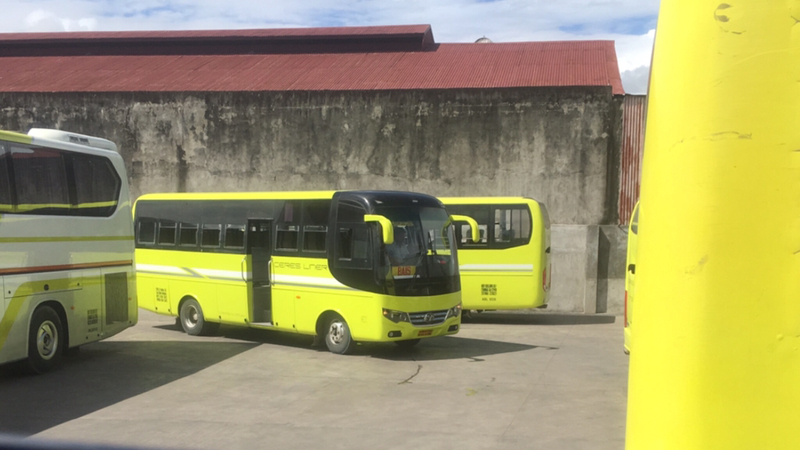 Model is: VTI-TEBBAP Yanson Coaster Hino FB. 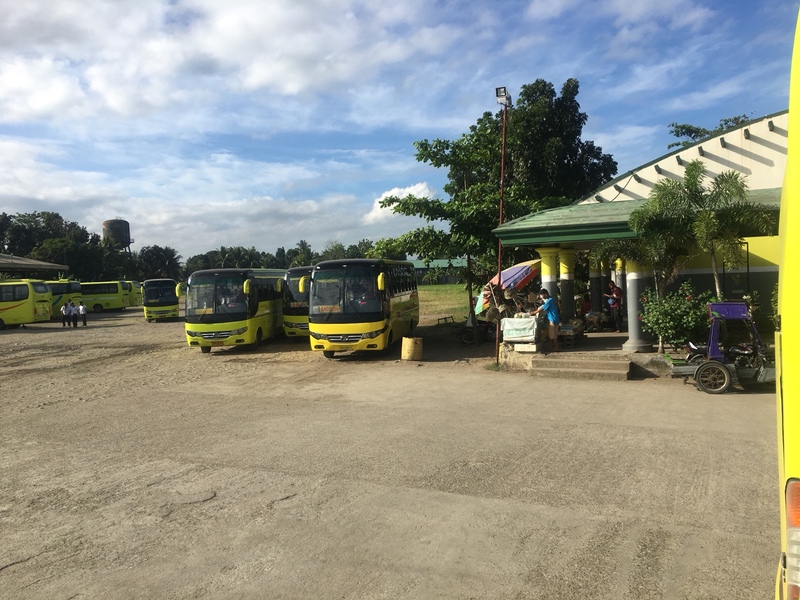 Location: Ceres Terminal Kabankalan City. 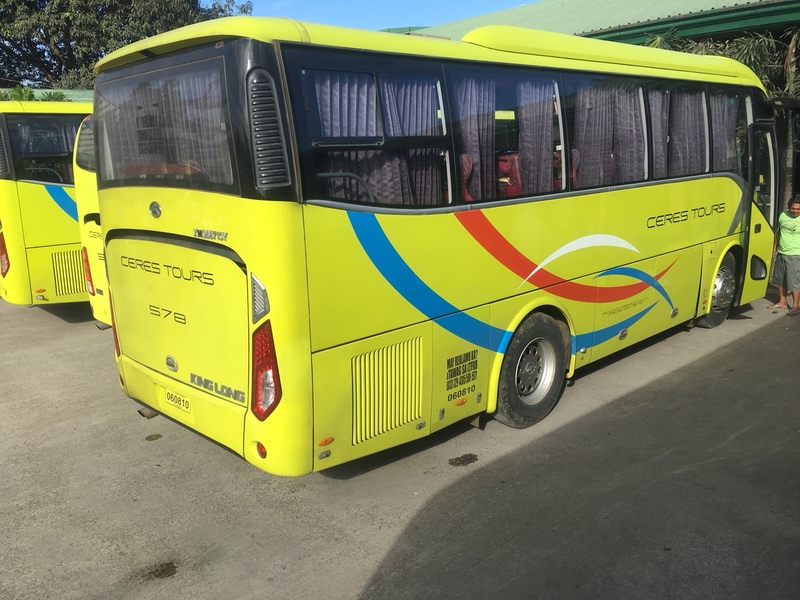 This is a King Long midi coach that operates the 2 stop service between Bacood City - Kabankalan City which can be made out on the side of the bus.